The NJ construction lien attorneys at LoFaro & Reiser, L.L.P. represent general contractors, subcontractors, materials suppliers, architects, engineers and other construction professionals in actions to foreclose and collect on construction liens. 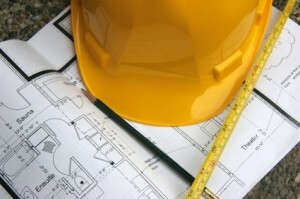 Construction liens, also referred to as mechanics liens, apply only to private projects. Like most states, New Jersey recognizes the enforcement of construction liens or mechanic’s liens against real estate. As stated in Section 2A:44-3 of the New Jersey Construction Lien Law, “[A]ny contractor, subcontractor or supplier who provides work, services, material or equipment pursuant to a contract, shall be entitled to a lien for the value of the work or services performed, or materials or equipment furnished in accordance with the contract and based upon the contract price, … The lien shall attach to the interest of the owner or unit owner of the real property development, or be filed against the community association,….” N.J.S.A. 2A:44-3. However, there are strict requirements to be followed and strict time limitations imposed for the enforcement of construction liens which, if not met, will render the lien defective. Written contract required. In most states a mechanic’s lien can be foreclosed upon either a written or verbal contract. In those states it is nevertheless recommended the contract be in writing. New Jersey is different. It mandatorily requires that everyone, whether general contractors, subcontractors, or suppliers, have a written contract in order to have the right to later file a mechanic’s lien. But the New Jersey statutes go even further. They require that all change orders and contract addenda be in writing. Be very careful about this aspect of the law. If an extra is not in writing, it cannot be part of your lien. 90-day period to record construction lien claim. With the exception of all cases involving a residential construction contract, the New Jersey Construction Lien Law requires that the lien claim form must be recorded with the County Clerk where the property is located within 90 days following the date the last work, services, material or equipment was provided for which payment is claimed.” N.J.S.A. 2A:44A-6. Within 1 year of the date the last provision of work, services, material or equipment, payment for which the lien claim was filed. Within 30 days following receipt of written notice, by personal service or certified mail, return receipt requested, from the owner, community association, contractor, or subcontractor against whose account a lien claim is filed, requiring the claimant to commence an action to enforce the lien claim. New Jersey recognizes several important distinctions with residential construction lien claims. Again, strict adherence to the procedure and deadlines is critical. Prelien Notice. Unlike commercial projects a residential construction lien claimant must first file a Prelien Notice with the County Clerk where the property is located. This is also referred to as a Notice of Unpaid Balance and Right to File Lien Claim. A lien claimant must serve copies of the notice after filing with the County Clerk. For general contractors this means serving the property owner by certified mail/ return receipt requested, at the last business or residential address. Subcontractors or suppliers under contract with the general contractor will serve the Prelien Notice on both the owner and general contractor. For subcontractors or suppliers having a contract with a subcontractor this means serving the Prelien Notice on the subcontractor, general contractor, and property owner. It is recommended that service of the Prelien Notice be made within 10 days after filing with the County Clerk. Mandatory Arbitration. Presently New Jersey is the only state that requires mandatory arbitration for residential construction lien claims. The arbitration process must occur before a contractor can file a construction lien claim with the County Clerk. Within 10 days of the filing of the Prelien Notice, the claimant must file a Demand for Arbitration with the American Arbitration Association. The arbitration is intended to be an expedited proceeding decided by a single arbitrator unless there’s a written contract specifying use of another arbitrator. The arbitrator will hold a hearing and make a decision as to the probable validity of the lien. The arbitrator’s decision is not binding, however, though it will signal whether or not the claimant has a likelihood of prevailing in court and the Prelien Notice was filed in good faith. Within 10 days from the arbitrator’s decision, but no later than 120 days from the last performance of work or materials to the job site, the claimant must file the actual construction lien claim with the County Clerk. Contact our NJ construction lien foreclosure attorneys today to discuss your construction lien claim.